May 10th, 2013 | News and Events, Wheaton World Wide Moving. 9. Use towels to stuff any remaining space in boxes. It can be a challenge to fit items perfectly in to moving boxes. It’s not just a challenge – sometimes it can be near impossible! Wheaton recommends though to not have any empty space in your box and the box also shouldn’t be more than 30 pounds, so what are you to do? 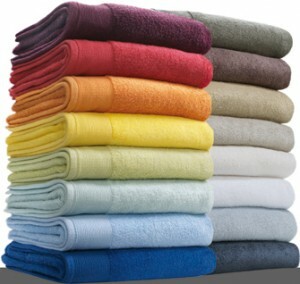 Stuff all the remaining space in your boxes with either towels or light linens. You’re going to have to pack all of your towels and linens anyway, so you might as well give them a purpose during your move. Packing with these materials is an efficient way to ensure that the boxes are full. Towels and linens are also light, so you won’t be straining your back carrying these boxes out of your house. If you’ve run out of towels and linens to pack your boxes with, we suggest using unprinted newspaper – printed newspaper can get ink all over your items. Hopefully though, you have a plethora of towels, washcloths, tablecloths, hand towels, dish towels…. just to name a few! What else could you pack your boxes with?